Another freaking day, around 1pm after finished my class, i went with Eugene to get his car and went for lunch at Jia Jia Restaurant duck rice. 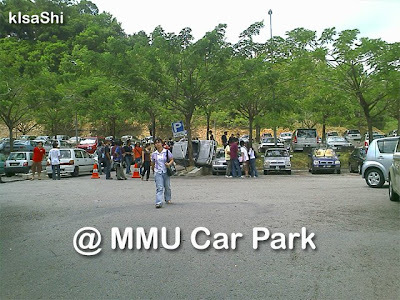 Then after having our lunch, we proceed back to MMU. 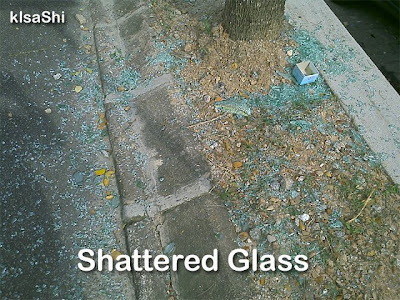 Then we saw this.. accident occured. 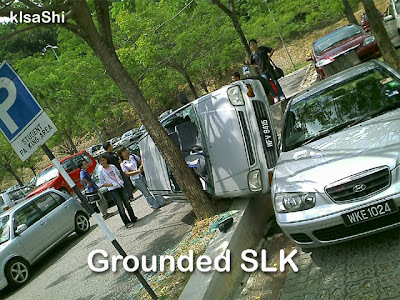 It was sooo omg after watching how this SLK grounded. 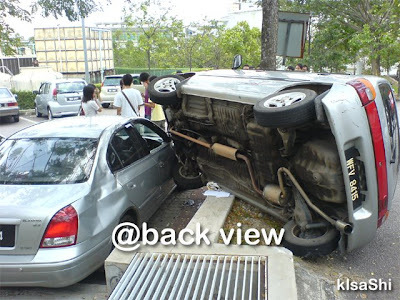 Lesson of the day, concentrate and be careful while u are driving or park your car. Look at that innocent Hyundai Elantra, getting hit.